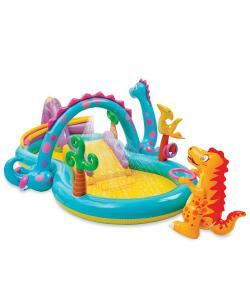 Give your kids a summer of fun with the Intex Dinosaur Water Slide PlayCenter. 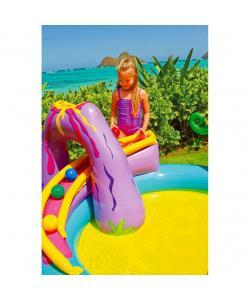 This inflatable Water Slide Play Center is made of tough PVC vinyl. 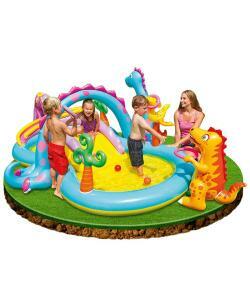 It also features a moveable water sprayer arch and Dino ball and ring games. 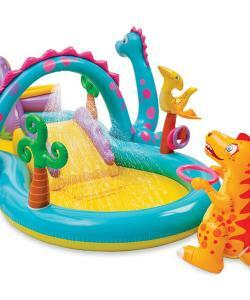 The Dinosaur Play Center includes an inflatable slide with landing pad for hours of fun for your kids and their friends. 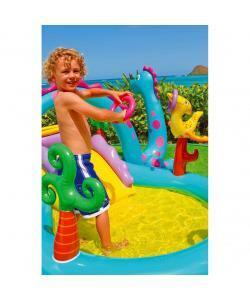 It sets up quickly, needing only two minutes to inflate.